A team at London's Moorfields Eye Hospital has made the world's first attempt to treat a sight disorder using gene therapy. 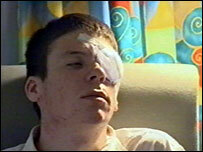 They operated on Robert Johnson, a UK man born with a sight disorder which deteriorates with age. At present Mr Johnson, who had genes inserted into one eye, can see outlines during the day, but little at night. It will be several months before the researchers know whether their work has been a success. If it is, they believe that it could be used to treat a wide range of inherited sight disorders. Mr Johnson's disorder is caused by a faulty gene called RPE65. This defect stops the layer of cells in the retina at the back of the eye from working. Usually, these are cells that detect light, but in Mr Johnson's case they are damaged, and stop him from seeing properly. 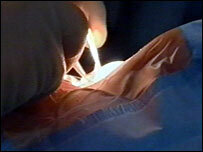 The operation involves injecting working copies of the defective gene into the back of the eye. It is hoped that the replacment genes will enable the retina to detect light - and eventually improve Mr Johnson's sight. The technique has worked in the lab, and on tests in animals, but Mr Johnson is one of 12 young patients selected to discover if those successes can be translated into human patients. Before he underwent surgery, Mr Johnson told me he had mixed feelings. He said: "It's very difficult to say how I'm feeling. I keep ranging from extreme nervousness to a bit of excitement." Lead researcher, Professor Robin Ali, based at the University College London Institute of Ophthalmology, has spent 15 years working with colleagues developing the technique. He said: "I can't help feeling somewhat apprehensive. "There is so much riding on it and we have all been waiting for a very long time." 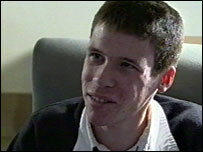 His colleague, James Bainbridge, who carried out the surgery, said there was no guarantee that it would be a success. He said: "We don't know for sure how someone like Robert's retina is likely to behave in this situation." However, he added: "It is very encouraging that we can deliver genes to an extremely fragile site in the eye without complications." The surgery required incredible precision. One slip and Mr Johnson's retina would have been torn, and the operation would have failed. However, Robert Maclaren, the assistant surgeon, was pleased with how things went. "We couldn't have asked for a better result. "In fact if I sat and drew what the perfect result would have been on a piece of paper - the retina would have looked pretty much as it would look now." Professor Andrew George, an expert in molecular immunology at Imperial College London, said: "The eye is good for gene therapy because it is a simple organ and it is easy to see what is going on. "There is hope that once gene therapy is developed in the eye, scientists could move on to more complex organs." The needle is inserted through the eye and into the retina. The replacement gene is injected between the two layers of cells which make up the retina. It is a faulty gene in the pigment layer which is preventing the photoreceptor cells from detecting light. Once treated, the cells in the pigment layer are restored and can support the photoreceptor cells to detect light as normal. The photoreceptor cells can now send nerve impulses to the optic nerve for transmitting to the brain.